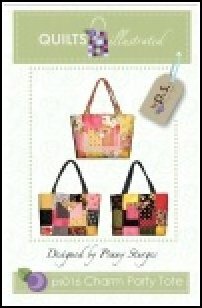 Charm Party Tote 11" wide x 14" tall x 4" deep. Outside of bag - 35 5" charm squares. Lining, handles, & pocket linings- 1 yd.